Where does it end? 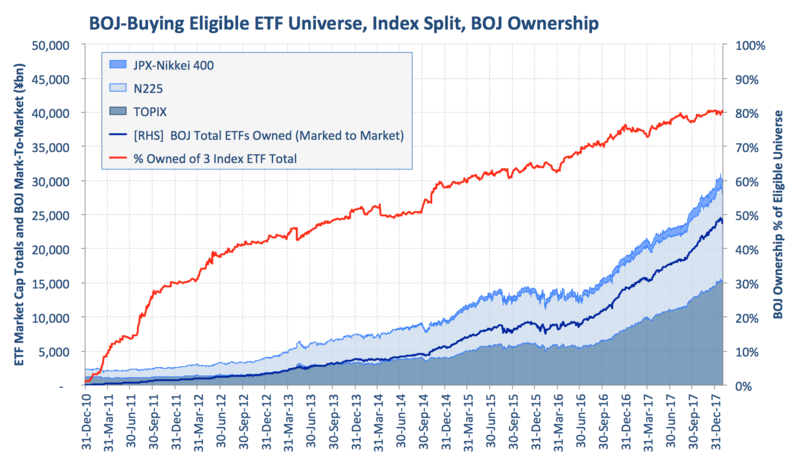 The Bank of Japan, as of last October, owned 74% of the total volume of the ETFs trading on the Nikkei. Now that number is up to 80%. To whom will they eventually sell these titanic (pun intended) holdings? It’s exceedingly easy to blithely buy assets hand over fist with created-at-will fiat currency and to enjoy all the accolades as the rising tide lifts all risk asset boats. With securities being bought by a currency that is backed by debt rather than actual value, we have recently seen $9.7 trillion in bonds with a negative yield. At maturity, the bondholders will actually lose money, thanks to the global central banks’ strategies. The Federal Reserve has already hinted that negative interest rates will be coming in the next recession. These massive bond purchases have kept volatility relatively stable, but that can change quickly. High inflation is becoming a real possibility. China, which is planning to dethrone the dollar by backing the Yuan with gold, may survive the coming central banking bubble. Many other countries will be left scrambling. 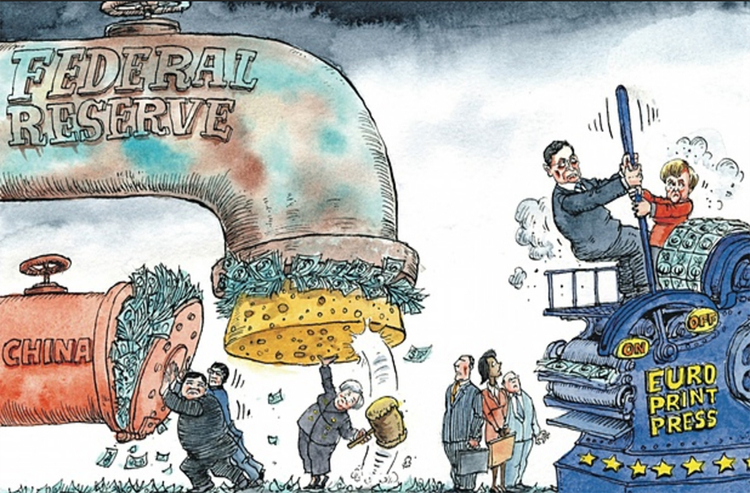 Some central banks are attempting to turn the current expansion policies around. Both the Federal Reserve, the Bank of Canada, and the Bank of England have plans to hike interest rates. The European Central Bank is planning to reduce its purchases of bonds. Is this too little, too late?